by Thomas T Hills is professor of psychology at the University of Warwick in Coventry, UK. Shamanism is as varied as those who practise it. Its practitioners range from indigenous lineages who have passed down their craft over thousands of years to the modern ‘plastic shamans’, who represent no specific culture but have adapted shamanism to meet the demands of metropolitan markets. However, there is a common theme to shamanism wherever it is practised: the use of spiritual (or shamanic) trance to facilitate journeys to a non-ordinary reality. Here, in this non-ordinary reality, the shamans do their work. According to the historian of religion Mircea Eliade writing in 1951, shamanism is the ‘technique of ecstasy’, involving the purposeful invocation and use of dreams and visions to solve problems. One explanation holds that shamans are beta-versions of modern healers. They treat everything from tiger bites to depression. Their expertise in medicinal plants and associated healing practices extends from the physical to the psychological. This happens because many tribal cultures do not differentiate between the material and mental in the same way that modern science often does. It is also well-known that many of the plantsused by traditional healers have active properties and are used accordingly. But this explanation doesn’t say much about a key element in shamanic practice: the shamanic trance. 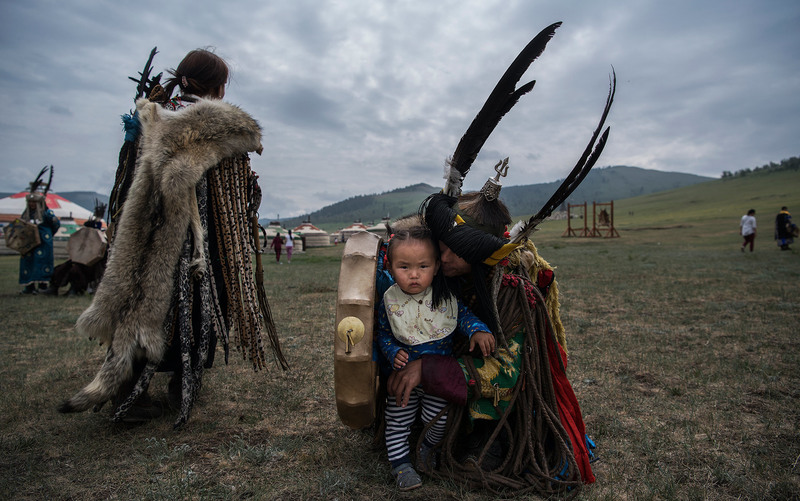 A second prominent explanation is that shamans exploit human gullibility by taking advantage of psychological biases, such as the human fear of ‘dread risks’. These are risks that are essentially arbitrary, or outside of one’s control, but can nonetheless wipe out entire families or villages. Modern examples include plane crashes, terrorist attacks, nuclear meltdowns, pandemics and the like: events with low probability, but very high consequences. The science shows that humans will pay a lot to minimise these risks, even if the associated consequences are more lethal over the long run. In this case, some anthropologists claim, the shamanic trance represents a kind of folk proof that shamans can protect people against dread risks. The shaman can interact with invisible forces and effectively neutralise them.